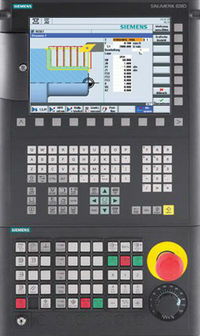 More machine axes have been defined through the channel-specific MD 20070 AXCONF_MACHAX_USED than are allowed in the system. Please inform the authorized personnel/service department. The sum of all axes that have been configured through the channel-specific MD 20070 AXCONF_MACHAX_USED, must not exceed the maximum number of axes (dependent on configuration -> option, basic version: 4 axes).